In Multi-View we will hear from an esteemed panel comprised of creators, collectors/patrons, gallerists and critics, on the development, reality of and aspirations for – Malaysian creative culture. 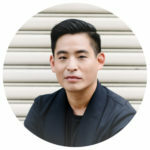 Meant for a more intimate and open conversation between audience and panel, Multi-View will be led by famed cultural entrepreneur and international collector, Ivan Pun, founder of Pun + Projects. Pun is Burmese and based in Hong Kong and Yangon. He moved to the former capital, Yangon, in 2011 and established Pun + Projects in 2014 spearheading a number of projects including the art space TS.1, hip eateries and furniture manufacturer. This discussion will provide insights to a number of facets that influence the development of a sustainable and vibrant art market and creative culture. Mahen Bala uses photography and film to explore the relationship between people, memory and identity in Malaysia. His evocative unique print, Portrait of a monsoon (2014), visualises the quiet symphony of waves and rain on the Malaysian East Coast while No Man’s Land (2017) captures the fragile landscapes of Antarctica and the role we play in preserving and destroying it. 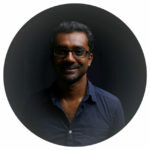 Earlier this year, he published Postcards from the South, a documentation of the social history of the Malaysian railways. An accompanying work, 222KM was shown at the inaugural KL Biennale, 2017 at the National Visual Arts Gallery. Soon Heng Lim’s career appears chequered to some: high school and university classroom teacher, teacher-trainer, writer, columnist, publisher, first generation mobile content developer, radio presenter, stage-performer and owner of a small theatre company called KL Shakespeare Players. But the reality is that his career – springboarded from two MA’s in English (Brigham Young University and Duke University, respectively)–is cross-stitched with words and with the love of words running through all these diverse occupations. Even as a mobile content developer, he had little more than words to engender green ASCII text and image files. And as a radio presenter, on the visual and performing arts, he offered only words to artists so that they could represent themselves and their visual works with words. 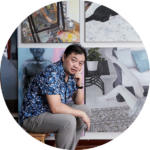 Bingley Sim began collecting art in 2004 and his collection of contemporary Malaysian art focuses on emerging local painters and sculptors. He is one of the founder members of the Malaysian Art Friends group (2009) and has been involved in many fundraising art activities. He is an ex-investment banker currently with a boutique advisory firm. Raja Khairul Annuar has more than 23 years’ experience with the Malaysian art industry through Pelita Hati Gallery and related projects. Starting in 1995 as a part time helper, designer, photographer, gallery assistant, he was appointed as a director and then managing director in 2004. He has participated in and observed the development of a dynamic Malaysian art sphere.